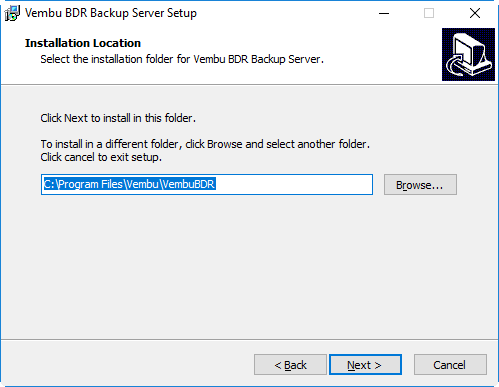 Vembu NetworkBackup – Backup files/folders from Windows, Linux & Mac machines and also backup applications like MS Exchange, SQL, SharePoint, AD, Outlook and MySQL etc. 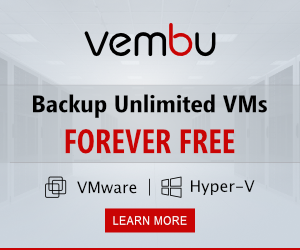 Let’s have a look at Vembu VMBackup in this review. 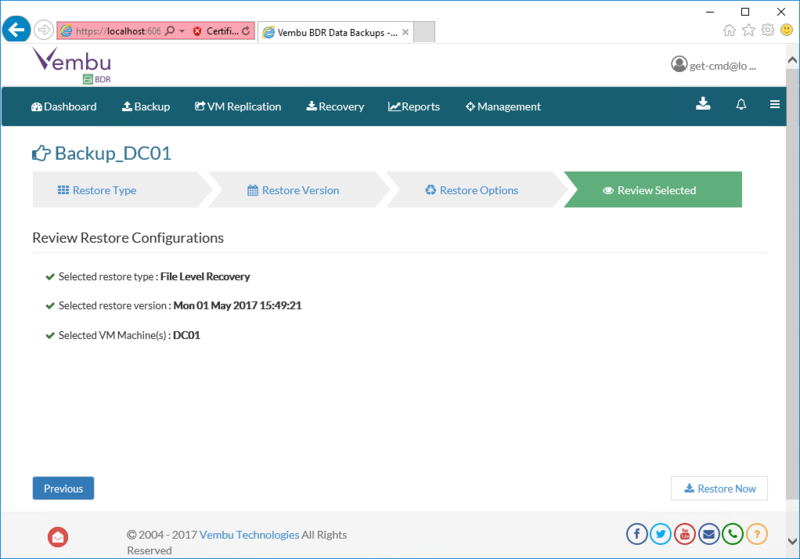 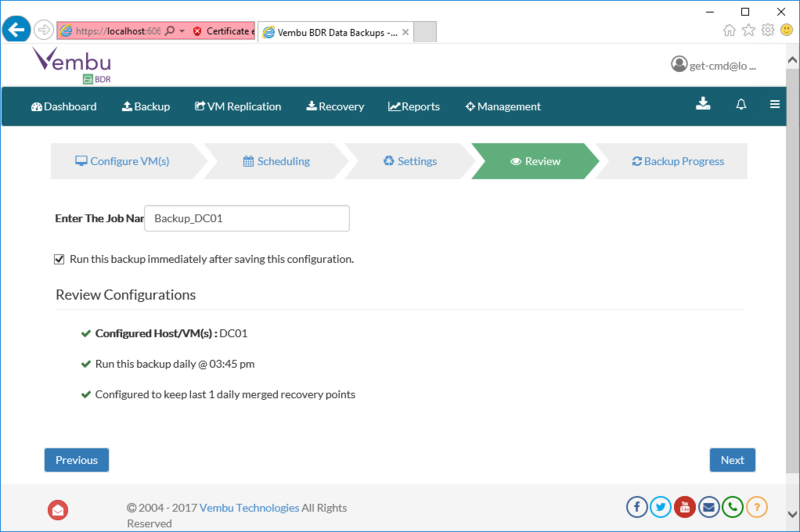 VMBackup is designed to backup and replicate the virtual machines by taking the snapshots of the VM images at the host (hypervisor) level. 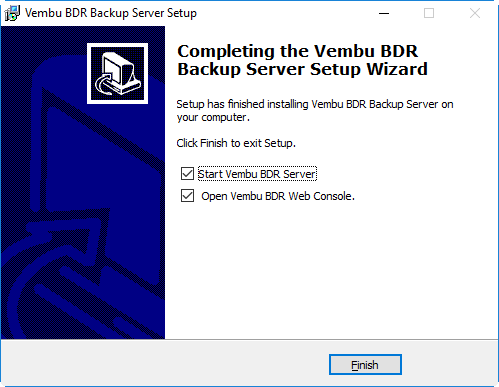 Vembu has developed it’s own proprietary driver to backup the Hyper-V VMs. 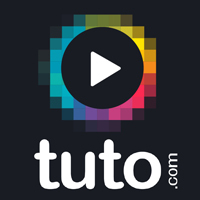 You can change the default login and password. 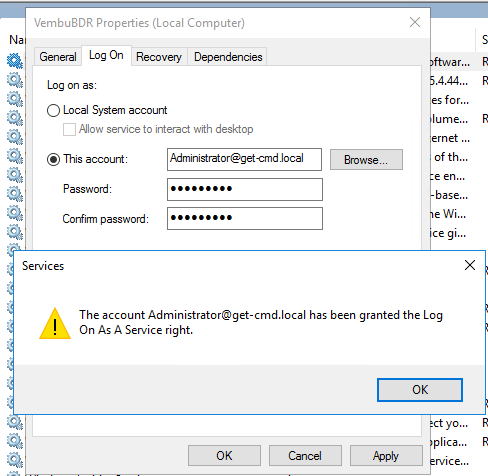 In a production environment, I advise you to not use “Admin” as the default login. 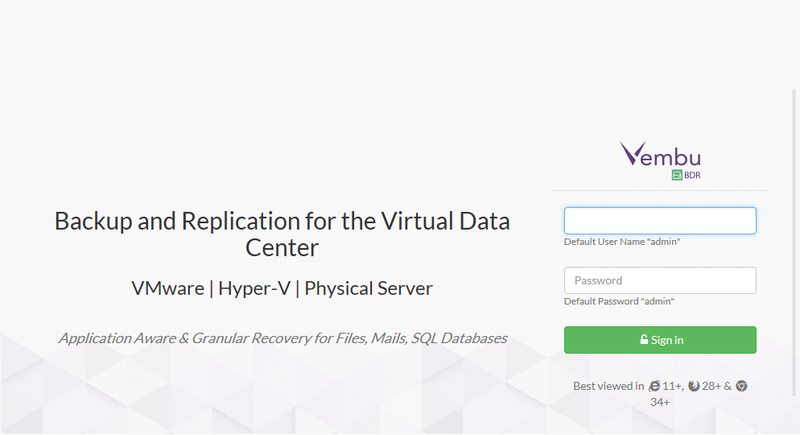 If you try to add your first Hyper-V host from scratch, it will fail! 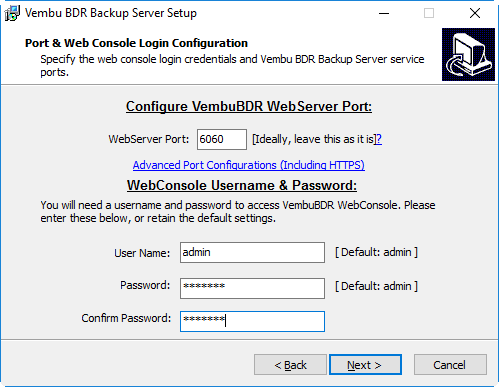 So before configuring Vembu, you must change Vembu BDR service to run under domain user account. 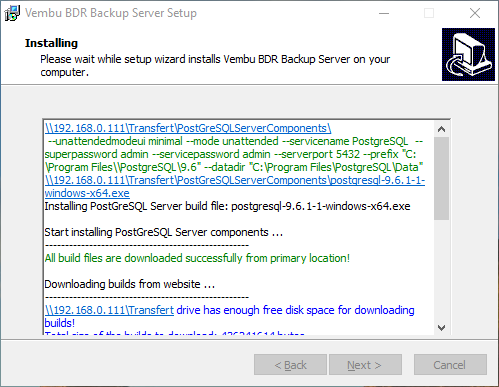 By default, this service is running under local system account. 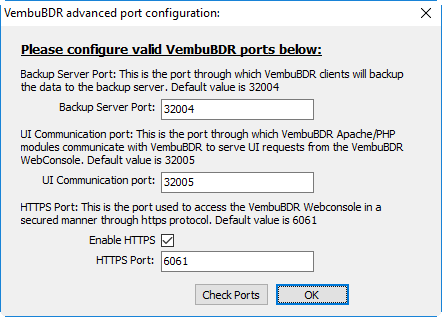 This change is required to install Vembu Integration Service on the Hyper-V host. 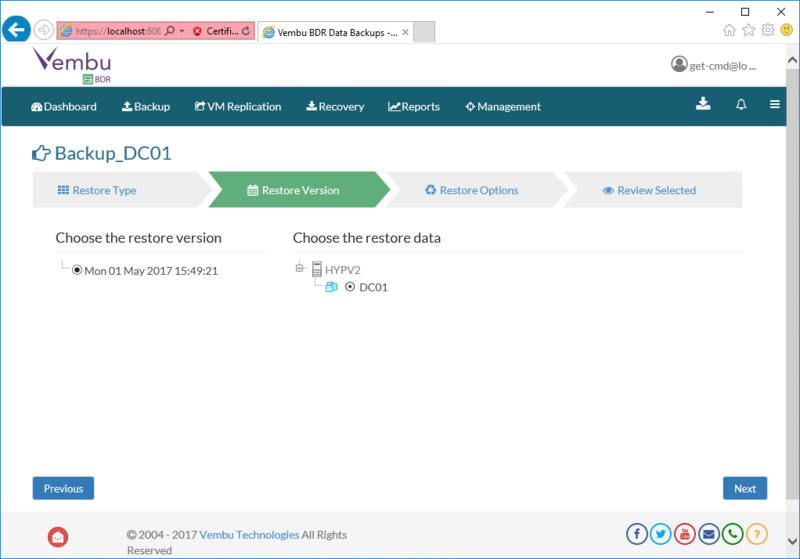 Restart the service and log on to the web interface. 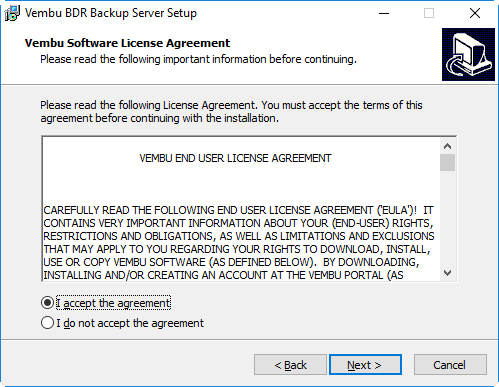 You must configure the TimeZone, and the Vembu BDR Unique ID. 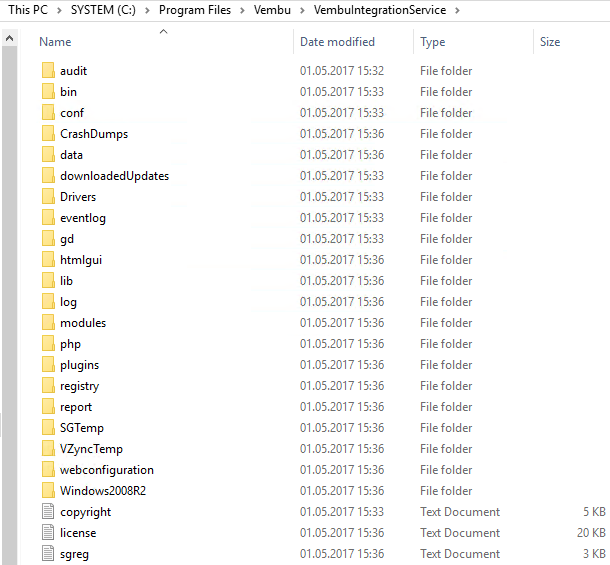 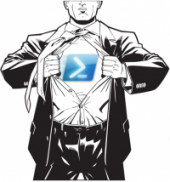 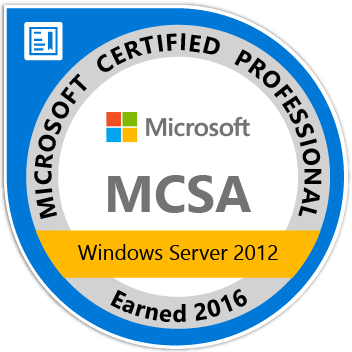 Integration service is deployed on your Hyper-V host and installed into C:\Program Files\Vembu\VembuIntegrationService. 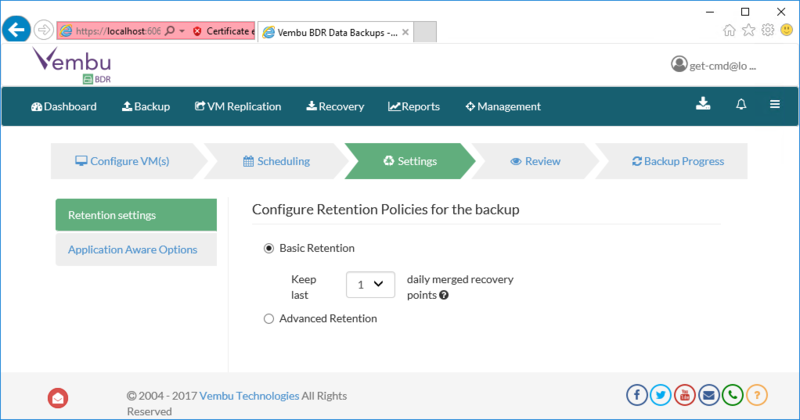 Vembu Integration Services performs the backup of the VMs and uses Hyper-V checkpoints. 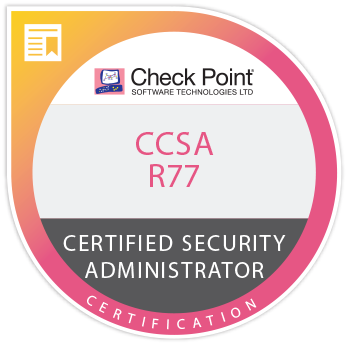 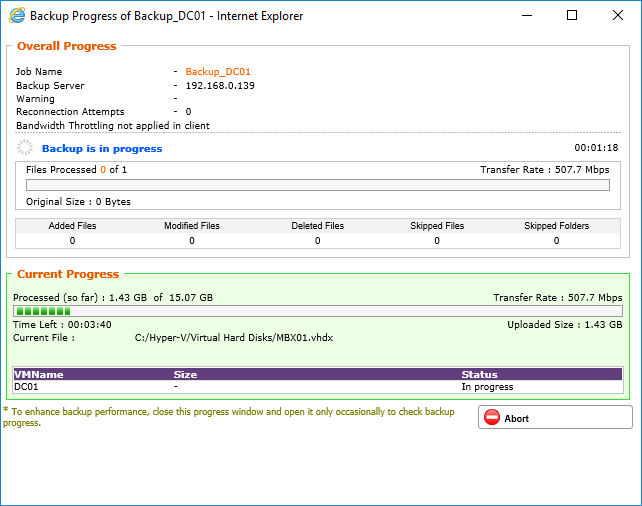 After the checkpoint is done, backup data is compressed and copied to the backup repository. 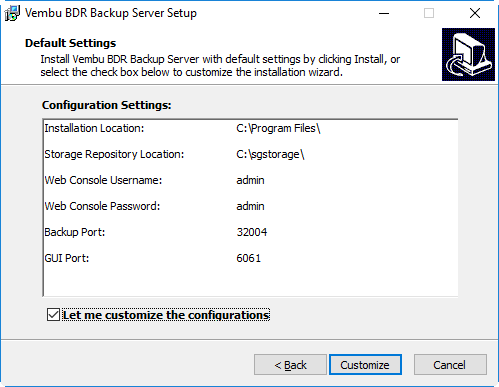 In my opinion, Vembu VMBackup is a good backup software. 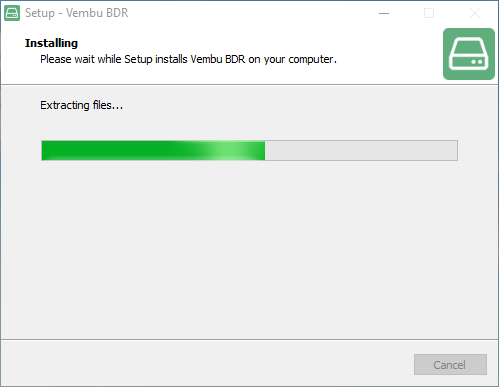 Based on my lab environment, it works well. 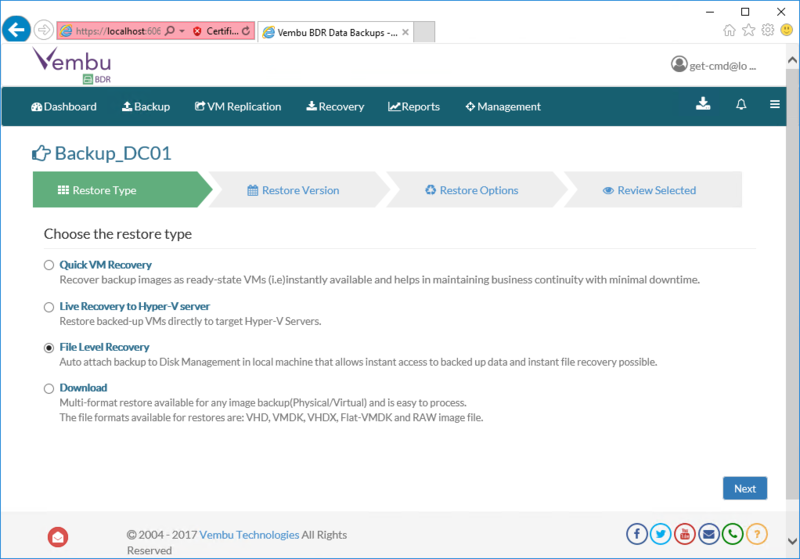 The web interface is developed in HTML5 and is very well structured, which is nice. Vembu is a bit younger than other solutions in the backup software market but has implemented all the features which are now common in other backup software. 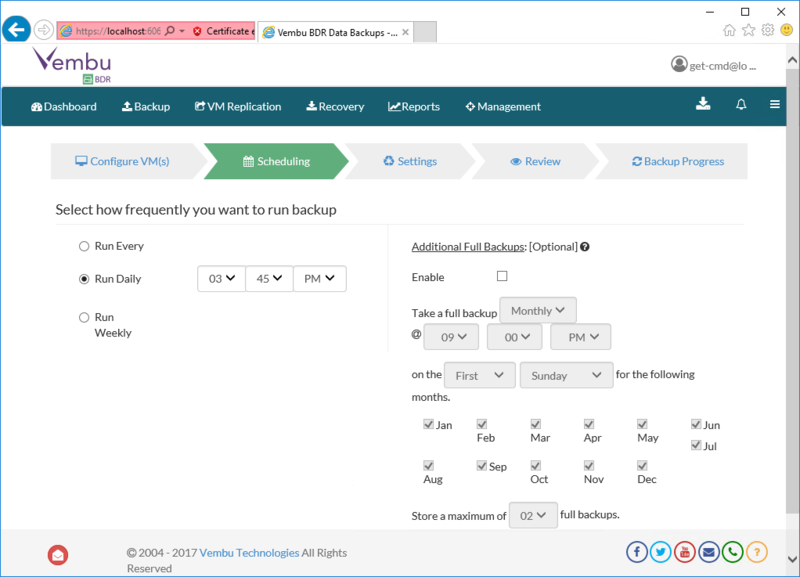 I work on a daily basis with Veeam Software, and I also work with Nakivo Backup solution for my lab environments. 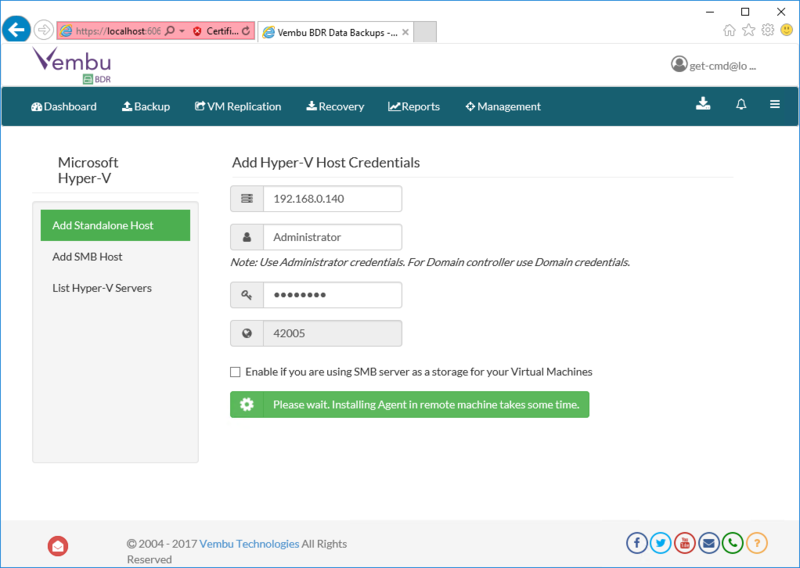 I found that Hyper-V host integration was not very easy in my environment but it will be ok for small and medium deployments. 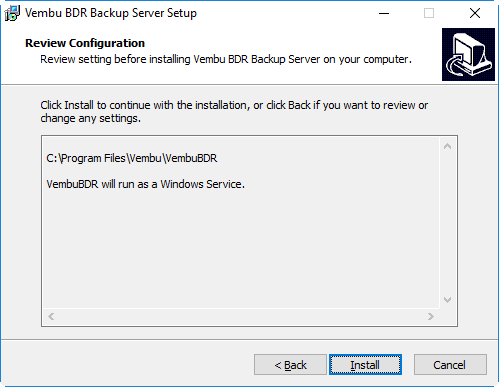 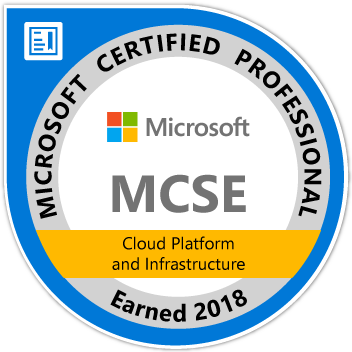 To finish, the use of Vembu BDR was done without any issues (except a network connectivity issue, due to firewall restrictions on my Hyper-V host).